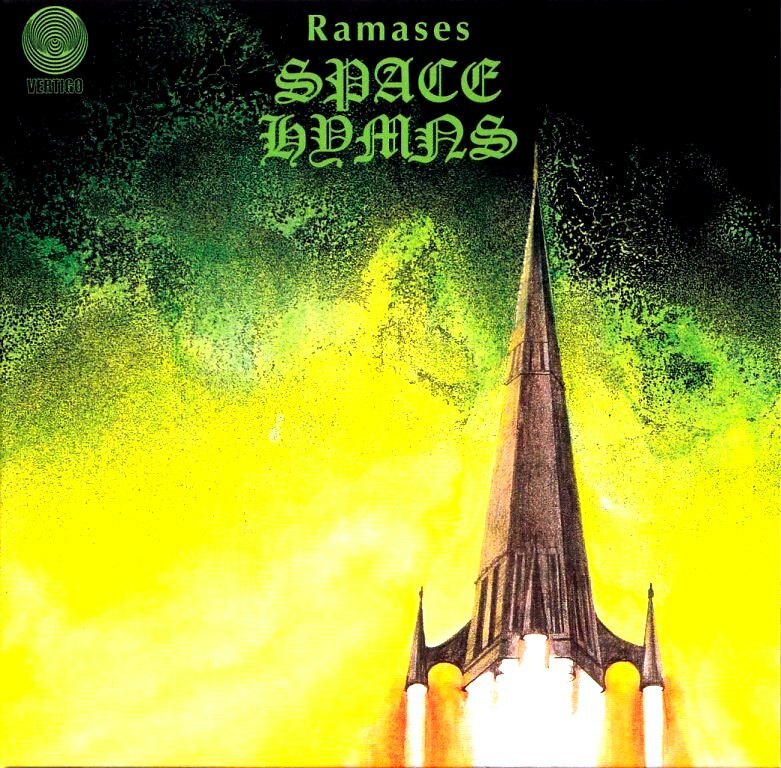 A neglected space-rock classic, Space Hymns (on Spotify) is the brainchild of Sheffield-born Barrington Frost (sometimes misreported as Martin Raphael), an erstwhile central heating salesman who, in the late ’60s, had a revelation that he was actually the reincarnation of one of the 11 Egyptian pharaohs named Ramses (it’s unclear which one). The music is driven by Ramases’ always present acoustic guitar, strong melodies and vocals (some contributed by Ramases’ wife, Selket), and lots of space in between the multilayered swirling. It’s also sludgy at times, and uses drone to achieve an ambient effect, especially on “Molecular Delusion”. “Journey to the Inside,” while obviously influenced by The Beatles’ “Tomorrow Never Knows,” anticipates the kind of sonic experimentation Roger Waters would use on Dark Side of the Moon. Backing musicians for the Space Hymns recording sessions went on to form the successful UK art rock band 10cc. Ramases’ second and last album, Glass Top Coffin (1975), is better than the first, in my opinion: trippier but also more focused, with stronger production and gorgeous arrangements—a near perfect translation of the inner-outer space excursion. 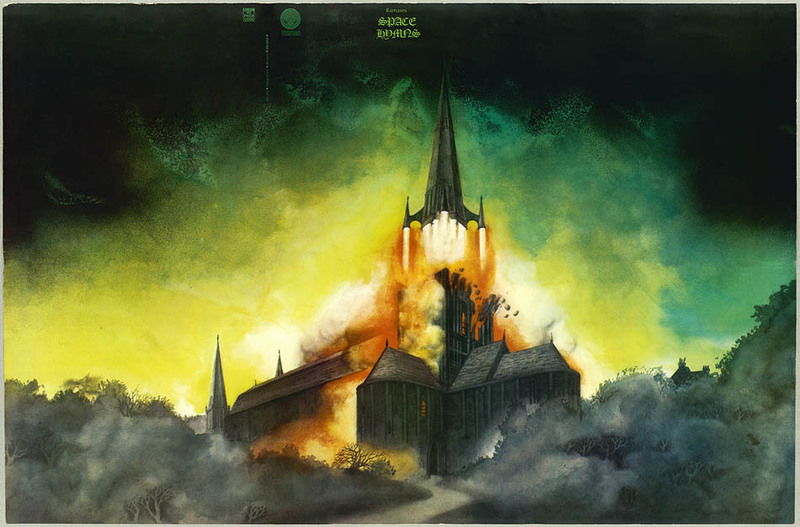 The Space Hymns album cover is a six-panel gatefold, by the way, painted by the master, Roger Dean. Psychedelic music is intrinsically navel-gazey because it expresses the individual’s inner journey, the mystical expedition. Often, the effort is too pretentious and silly to bear, and laughter ensues. Sometimes the opposite occurs, and you get the feeling that you’ve been lifted to a higher plane. 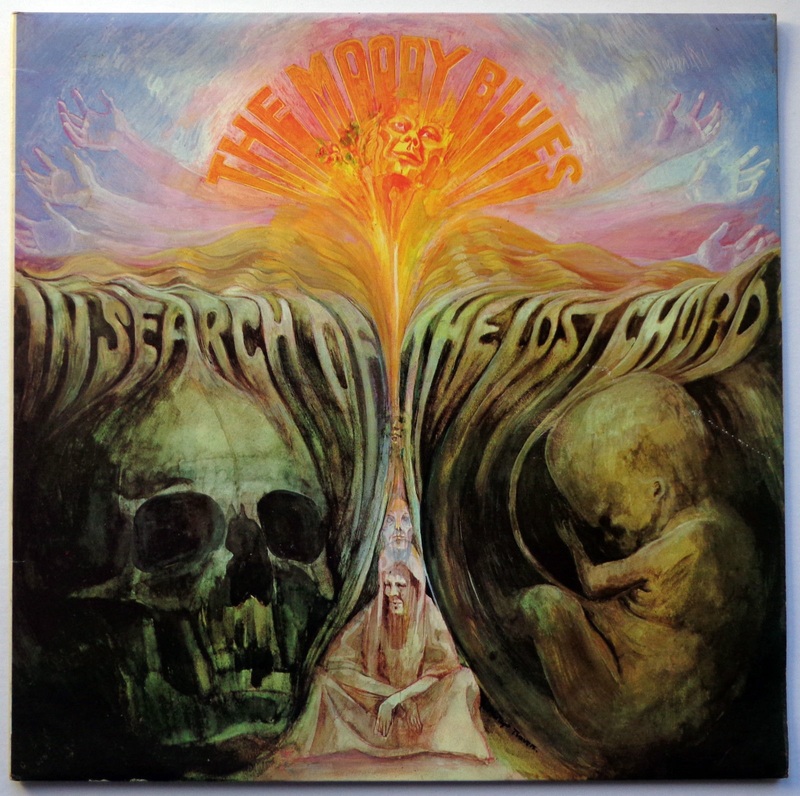 I’m not a great Moody Blues fan, and In Search of the Lost Chord is no Fifth Dimension, but I really like the album: it’s lush and soft, not particularly ground-breaking but particularly dreamy and pleasant. Why am I writing about psychedelic music? Because I dig it, and because it’s intimately related to the explosion of the fantasy and sci-fi scene in the late ’60s, not to mention surging interest in the occult (or “metaphysics”) and mythology, all of which inform early geek culture. 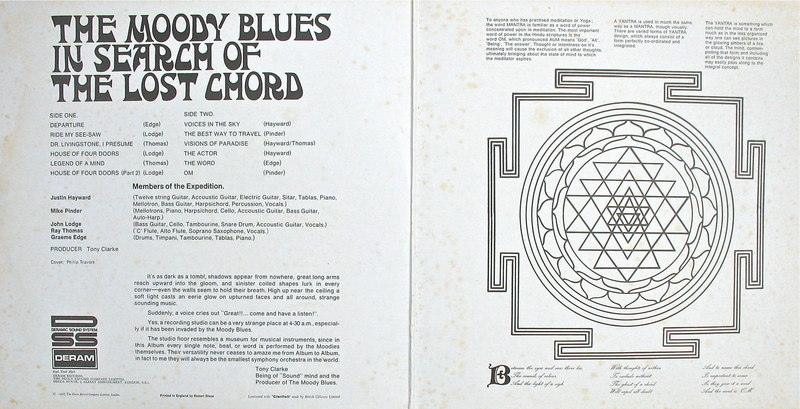 The LP cover art is by Phil Travers, who recounts the experience—“the band wanted me primarily to illustrate the concept of meditation”—at Rock Pop Gallery. 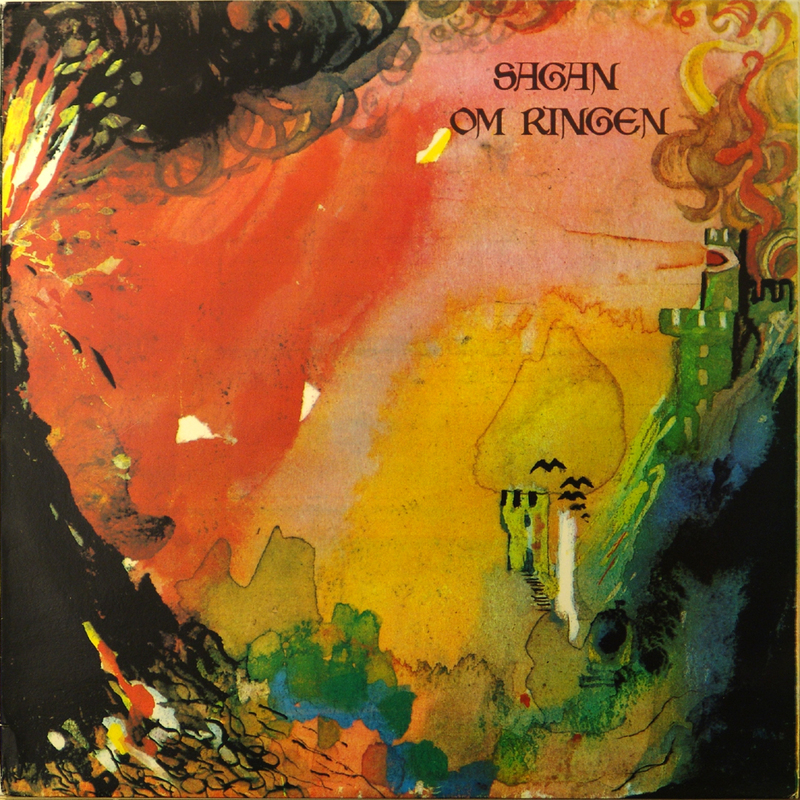 Released in his native Sweden in 1970 as Sagan Om Ringen (“The Saga of the Rings”), Bo Hansson’s Music Inspired by Lord of the Rings first appeared in the U.K. and the U.S. in 1972. It’s generally characterized as “progressive,” but it’s more of an idyllic, psychedelic suite centered around Hansson’s spacious, dreamy organ. It’s something of a masterpiece, in my opinion, and yet another insight into the connection between psychedelia and the budding fantasy genre. You can hear the original vinyl release here, and the international version is on Spotify (and Amazon). 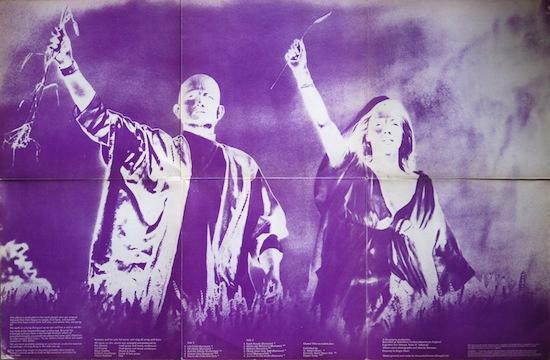 Hansson released a number of other interesting albums, including Music Inspired by Watership Down (1977), which are currently unavailable. 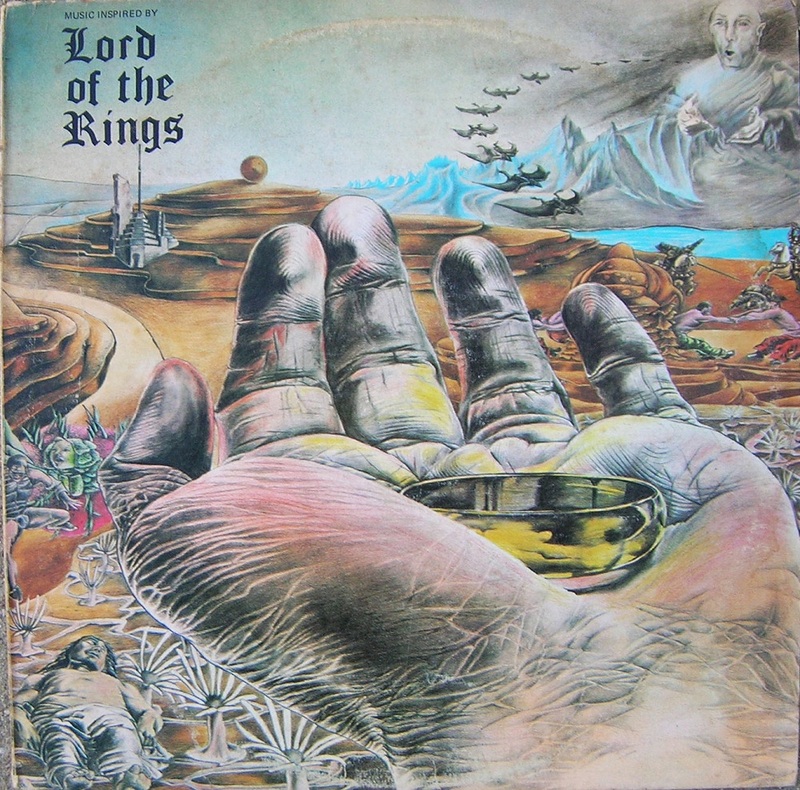 The third LP pictured above shows the 1977 reissue, set to coincide with The Hobbit and Lord of the Rings animated films. 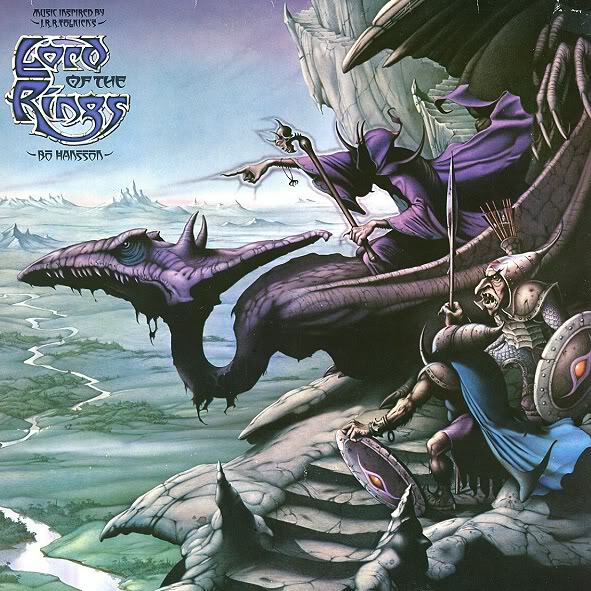 The cover artist is Rodney Matthews.